We know how magical Christmas is, however we are also aware of those children that may need to spend Christmas in Hospital. Due to this we would like to bring a little sparkle of magic to these children by providing your childrens hospital/ward with personalised Santa letters to all the children that are staying in over Christmas. 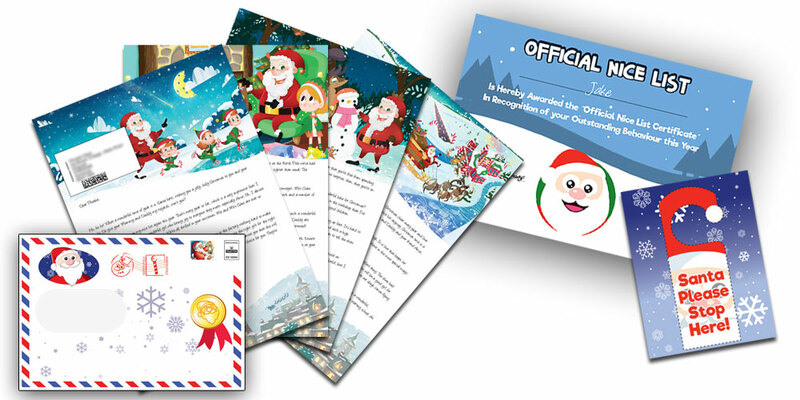 This is a complementary service from us at Santa Letter Direct and a way for us to give back. There are absolutely no charges whatsoever to the hospital/ward. Each and every child will receive a personalised letter from Santa, Nice List Certificate and a Santa Stop Here sign for the end of their bed. In terms of the information we require, we will only require the child's first name, whether they are a boy or girl and their age. We will then randomly choose a letter design and story for the letter so everyone should have a mix of designs. We are encouraging children hospital staff to get in touch with us as soon as possible to help us set this up for you. If you are a nurse or hospital staff member at a childrens hospital or ward, help us bring this magic to you this year. We have the following dates setup, so it will give us a chance to get everything prepared in time for Christmas. If you would like to find out more and to register your hospital/ward, please fill in the form below. We will only use this information for the purpose that is required here for your hospital.